South Africa will play a warm-up Twenty20 match against Canterbury Wizards on February 15, 2012 at Hagley Oval in Christchurch, as part of their tour of New Zealand next year. South Africa were scheduled to play three Twenty20 internationals in New Zealand, with the first on February 17, followed by three ODIs and three Tests. After Cricket South Africa asked for a warm-up match to be added to the tour, Canterbury Cricket Association offered to host the Twenty20 game. The AMI Stadium will be unable to host an international match this year after being damaged by the earthquake that hit Christchurch in February 2011, so Lee Germon, chief executive of the Canterbury Cricket Association, said Hagley Oval, which has never hosted an international match, was selected as a venue. "The chance to play against a high-quality international side will be welcomed by the Canterbury cricket fans," Germon said. "It's a real bonus for the Canterbury region after the damaged AMI Stadium meant we didn't have a suitable venue to host an international match this year. "I would like to take this opportunity to thank the Christchurch City Council. With the AMI Stadium unavailable, they realise how important it is to get events of this calibre for the region and acted quickly to give consent and offered their full support." 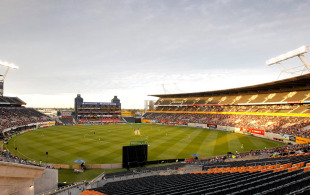 Apart from Christchurch, South Africa will play matches in Wellington, Hamilton, Auckland, Napier and Dunedin during their tour in February-March 2012.